Movienizer is a movie organizer program developed for computers running operating systems of the Microsoft Windows family. As of this writing, Movienizer was sufficiently tested and known to work fine on Windows XP, Windows Vista, Windows 7, Windows 8, Windows 8.1 (both 32-bit and 64-bit editions of the complete row are supported). It can also run on Server editions of Windows (like Windows Server 2008), but you may need to download additional multimedia packages (like DirectX) from the official site of Microsoft to be able to start Movienizer on Server editions. At this moment, there are no special versions of Movienizer for other platforms. However, the program still can be used on Linux, Mac OS, and on some other systems with the help of third-party tools. 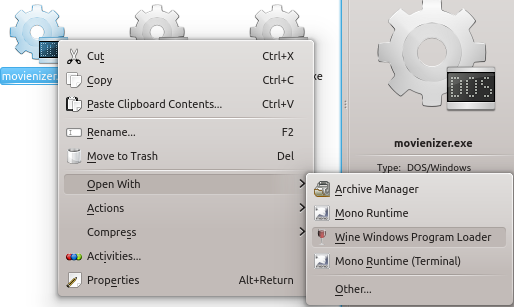 On Linux, you can install and run Movienizer using Wine (Windows compatibility layer). This is possible thanks to the efforts of the Wine team, movienizer.com does not guarantee that all or any features of the program will work in Linux using Wine or continue to work when new versions of Movienizer / Wine are released. 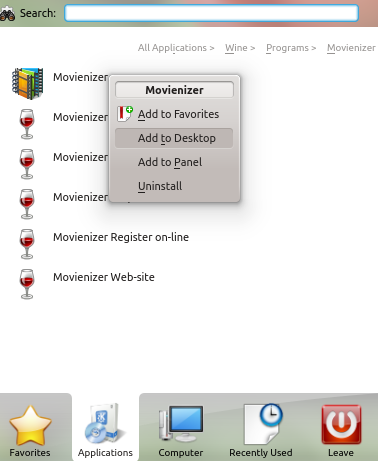 Movienizer was tested on Ubuntu 12.04 LTS 64-bit with Wine updated from 1.4 to 1.6. Starting with Movienizer 5.5, downloading information from the internet did not work on Wine 1.4. This problem could be fixed by upgrading to Wine 1.6. 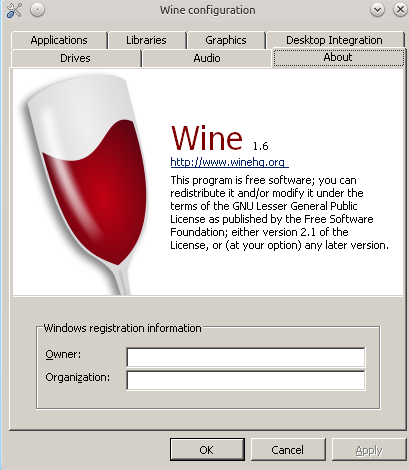 On systems where Wine 1.6 was installed without installing Wine 1.4, some problems with pictures were experienced. Of course, you can also start it from the command line, as usual. This starts the installer. Follow its prompts to install Movienizer. When you click on the shortcut, Movienizer starts as usual. A registration reminder window is displayed. If you have a valid registration, you can enter it here to unlock all features of the program. Now the main window of the program is displayed. After this, you will not be able to download information about people until you restart Movienizer. Don't panic, there is a workaround. Just click on the "Add person" button and add any person to your database. Now you will be able to download information about persons in any way (including the above described scenario that led to the error previously). Thus, if you are moving to Linux or just trying it as a second operating system, you can still enjoy using your favorite movie organizer thanks to the support for Windows software provided by Wine.